There are various reasons why patients choose breast augmentation surgery, which is the placement of an implant within the breast to add size and volume. Some patients simply want more even-sized or larger, fuller breasts for aesthetic purposes. Others may turn to implants to correct asymmetry or to restore their breasts after a mastectomy. No matter the reason, Denver plastic surgeon, Dr. Manish Shah, works with his patients to choose the right option, including the type, size, and shape of implant. Breast implants are made with either saline or silicone and both offer outstanding results for patients. During surgery, Dr. Shah minimizes scarring as much as possible by placing the incisions in discreet areas to provide patients with the most natural-looking outcomes. "I had breast augmentation done last month and Dr Shah has done an amazing job. I absolutely love my new body. I would so recommend him to any woman who considers breast augmentation. Scars are barely visible, breasts feel absolutely natural, and the whole recovery process has been pretty easy. 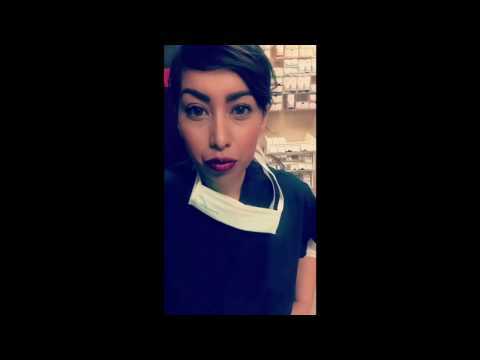 Great office staff, his RN is super attentive and always there to answer any questions or concerns. Very happy with the results. Thank you, Dr Shah!" "Best of the Best - My fiance went through Dr. Shah as well as my sister in law and not only does Dr. Shah know what he is doing and very informative he also made himself very available after her surgery and while we were home. It was nice to have him just a phone call away. Dr. Shah also called and checked up on my fiance later that evening to check in with us and her recovery. What drew us to Dr. Shah is his experience in reconstructive surgery and heard many great things about him from his co-workers at the Brighton Hospital. Since my fiances surgery I have decided to also go through Dr. Shah for my own procedure and just recently had my consult. I love that not only did he remember the both of us but he also remembered of our upcoming nuptials. Dr. Shah and his team made us feel not just like their patients but as if we were their friends!!! 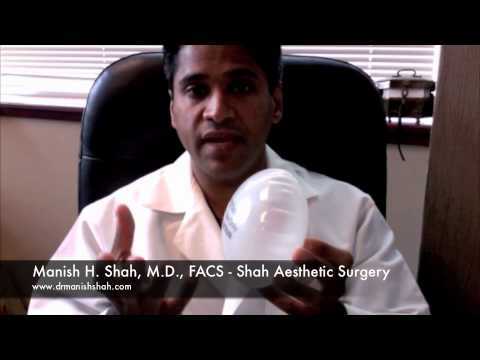 I recommend Dr. Shah to any and all of my friends that are considering plastic surgery." "I had been thinking about my procedure for about a year. I visited several doctors within the Denver area but decided on Dr. Shah when it was all said and done. The biggest difference between him and the others is he took time to understand why I wanted the procedure, what my lifestyle was like from both a personal and professional perspective and what was most important to me. Never having had surgery before I had a million questions for Dr. Shah as well as his team and they were always patient and comprehensive when I called. In addition the surgery center where the procedure was performed mirrored his demeanor, which made the experience as a whole really incredible. My husband also had a small procedure done by Dr. Shah and he is extremely happy with the results, as am I. It's been about 2 months since my procedure and I am thrilled with the results. If either my husband or I determine we would pursue additional procedures in the future, we won't consider anyone else but Dr. Shah." Saline implants have always remained a positive choice for patients when deciding what type of implant to use for breast augmentation. Because these implants are filled with a sterile saltwater solution, any potential leakage does not pose a threat as the solution is safely absorbed by the body. Saline implants also cost less than the silicone type. One of the disadvantages of saline implants is that in some cases, rippling can appear. This is especially something to consider for women who are thin and have low breast tissue. Those who opt for this type of implant must be at least 18 years old. Silicone breast implants are very popular today and are highly recommended by surgeons for patients who are thin and desire a natural look. Since the FDA validated their safety and efficacy, safety concerns surrounding these implants are today almost no different than that of saline. The silicone shell is prefilled with silicone gel and comes in different sizes, shapes and textures. Unlike saline implants in which leakage is absorbed by the body and implant volume appears visibly flat, it is difficult to tell when a silicone implant ruptures. An MRI is required to detect any rupture. Patients considering silicone implants must be at least 22 years old. For patients who desire fuller breasts but do not want an artificial implant to achieve this look, there is also an option known as a fat transfer. In this procedure, the doctor will harvest fat from donor sites of the patient, such as the flanks, abdomen and thighs via liposuction. The fat collected will undergo a process of refinement and purification, and then gradually reinjected into the breasts with smaller syringes so the shape is evenly distributed. There are several manufacturers approved by the FDA. Breast implants come in a variety of different profiles. The selection is based on how enhanced the breasts’ projection would be, as well as how wide the implant will be on the chest wall in relation to the base width. Since the silicone implants are already pre-filled, the standard profiles come in low, moderate, high and extra high. Saline implants, however, come in variants that are either prefilled; or, the silicone shell is inserted then filled with saline solution up to the patient’s preferred profile. Choosing the right profile can sometimes be a difficult decision and it is up to a skilled surgeon to help guide the patient accordingly. High profile breast implants will have greater projection, but less width on each side, whereas a moderate profile, for example, will not have as much projection, but will be broader. Implants are made with either a smooth or a textured surface. In general, smooth implants cost less and are more common. The textured implants were initially conceived out of the idea that it reduces the chances of capsular contracture (the constriction of scar tissue around the implant) although there is no valid claim to this. The textured type is more common with the teardrop shape as the rough texture adheres to tissues helping the implant stay in place. The two most common placements are on top of the chest muscle or under it. When the implant is placed under the muscle, a pocket is created within the pectoralis major muscle. A pocket is also created if it is placed in front of the muscle, but many surgeons do prefer the submuscular approach (behind the muscle). This helps to keep the implant in place for a longer period of time and takes into consideration factors such as implant size, weight, gravity, and time. Placing the implant behind the muscle also provides a natural look and provides the implant with the long-term support it needs to stay in position. There are several standard incision approaches for breast implants. The most common is known as an inframammary incision, which is an incision near the breast fold. Second, is an incision made under the areola, which is known as a periareolar incision. A third option is to place the incision within the armpit, known as a transaxillary approach. There is also an incision approach that takes place around the belly button, but this is the least recommended way. It is up to the patient’s desires and surgeon recommendation as to what approach is best to take. Scarring is also discussed at this time with each method.